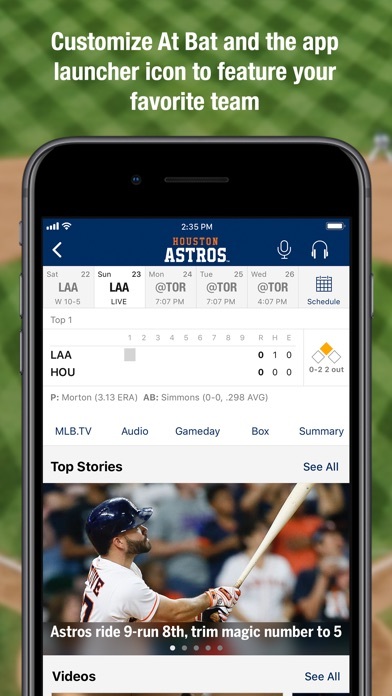 The MLB at Bat app does a remarkably good job at pulling together a lot of big data in real time and delivering that in an easy to consume format. The premium subscription seems to be best if you live outside of the market region for your favorite team as black out restrictions mean any local games can’t be live streamed. 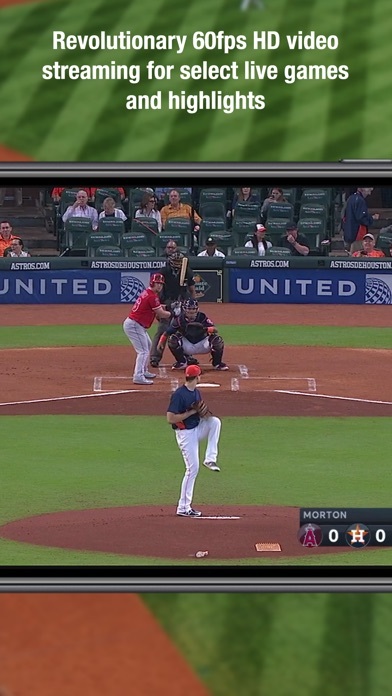 This is incredibly frustrating, especially if you do not subscribe to cable or satellite and thus have no option for watching a local game, even though you pay a high price for the MLB Premium Subscription. In LA for instance, games are not broadcast over the air, only through cable or satellite, so if your a Dodges fan in LA the premium subscription only lets you watch other teams or road games out of the area. Likewise, if your favorite team does come to play a local team you can’t watch the game due to the same blackout restrictions. Otherwise the play by play animated live games feature is pretty cool, and you do get to watch the other games around the league, just not your local games or games that are played on certain days and times. The ads have wrecked this app. The video ads played before each video highlight have made a good app terrible. App works well. I’m able to listen to and watch my games with not much issue. But there are too many ads just to watch a video. I pay a good amount of money for this service and I shouldn’t have to watch a 15 second ad every time I want to watch a video. Two years ago it wasn’t this bad, last year it got a little worse, maybe one ad for every couple videos, this year it’s an ad every single time. It’s ridiculous and should be changed. I have uninstalled/reinstalled the app 4 times - to no avail. My iPhone iOS software is up to date. Seeing multiple reviews with same exact issue...Please release an update to fix this!!!!! App works fine but more and more ads. Now have to watch a 15 second ad before watching a 10 second highlight. Guys, i like baseball a lot. 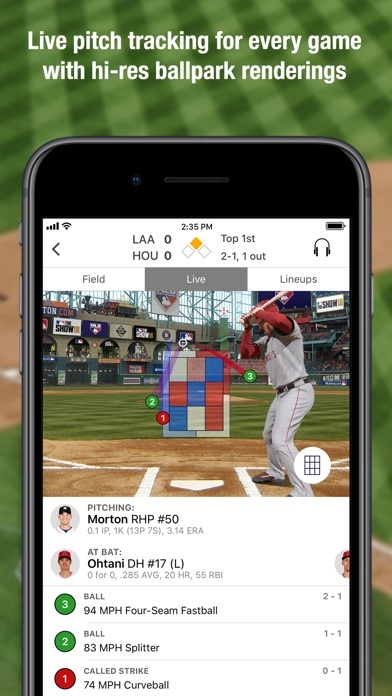 People who use this app probably like baseball a lot. The clickbait headline notifications are terrible and entirely unnecessary. I’m much more likely to click through to an article or video highlight if you just tell me what it is in the first place. 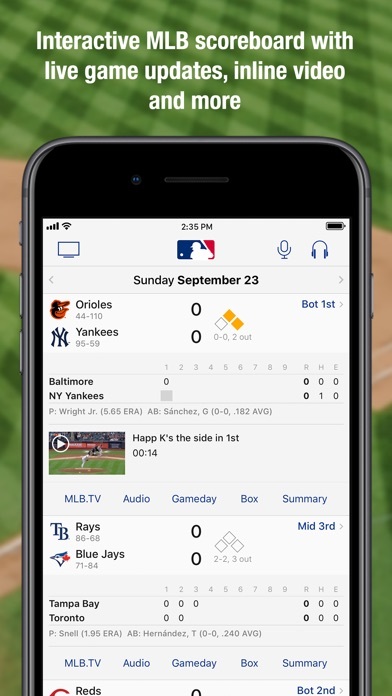 I use this app a lot as a big baseball fan who loves watching as many games as possible. With the latest version I find that I have to re-log in almost everyday day or even multiple times a day, otherwise I have to put up with ads. Please fix this!! Update: changed my password as suggested by an at bat representative and it worked for about a month. Now back to being logged out multiple times a day. Changed my password again but didn’t work this time. Fix this!! I pay too much money to watch baseball through this app to be continually frustrated like this. Another Update: now I have to watch ads before videos and see ads on the home screen. Even though I have a paid for subscription. 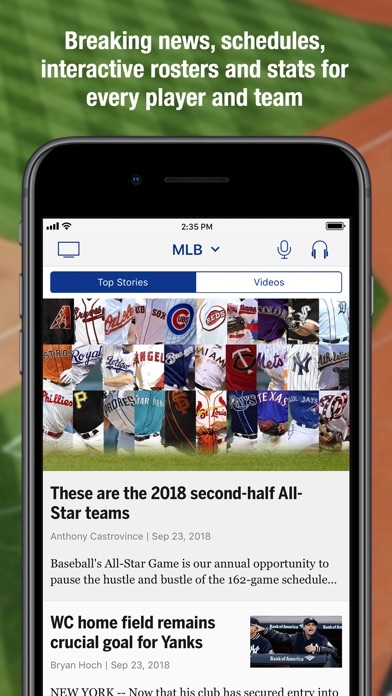 Once MLB glitches (and it will) go to your App Store and request a REFUND from your subscriptions. I will make sure these idiots fix their app or I will help other get this free for the entire season! Apple will refund you because you are not getting what’s promised! This app currently does not work properly!